If you take a look around the area, you will see grassy, healthy, sparkling green, and so neat lawns you might believe they were computer-generated. In fact, every patch of paradise you encounter is mostly the work of our lawn care North Richland Hills TX specialists. And while they do perform outstanding lawn mowing and other services, they are best known for the highly rewarding fertilization and weed control program they implement. Some of our clients were in the situation of losing their entire lawns when they met our licensed and trained professionals. It takes skill, know-how and experience to understand that a lawn is affected by pests or diseases, impacted by climacteric challenges or damaged by store-bought chemicals. This is what our team has been doing for the past 13 years: assessing the situation, offering a valid diagnosis and implementing a tailored, science-based 7-Step fertilization and weed control program. While our prices are ridiculously affordable, our standards reshaped the industry’s ones in the last years. Our fertilization and weed control program spans throughout the year and covers all challenges depending on the season and soil’s needs. We don’t just spray your lawn with substances you could by yourself from the store. 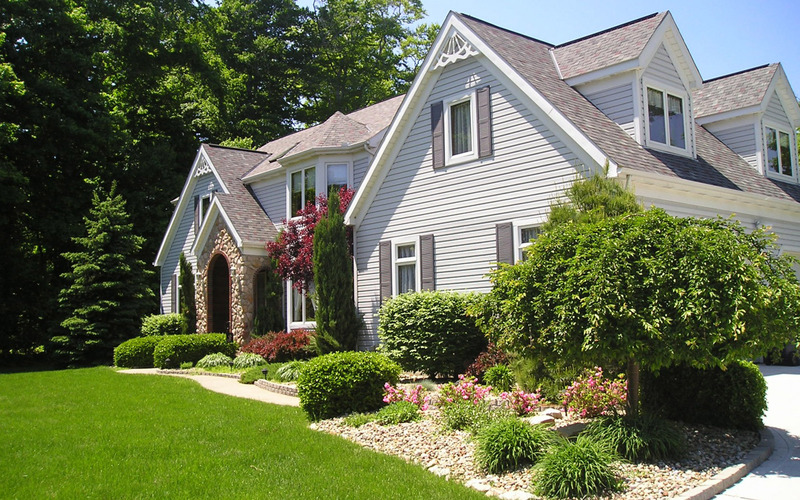 We customize each treatment to suit the lawn’s needs and the types of weeds invading your property. Moreover, all our applications comply with environmental principles. What Reasons Are There for You to Work with Us? Our 7-Step fertilization and weed control program covers an entire year and is customized so it deters weeds without affecting other beneficial plants or insects. Moreover, after each application, our technicians leave a report describing the intervention, highlighting the status of the lawn and offering further lawn care recommendations until the next application is due. You don’t have to remember the lawn needs to be treated: our employees will show up in time for the next treatment as agreed. We also offer organic options to fertilization and weed control, as we are more than aware of the environmental challenges of your area, the particular climacteric conditions and the local restrictions. We want you to enjoy a lush, healthy and thriving lawn so we do everything in our power to offer tailored treatments that don’t impact the soil, water reserves, beneficial insects or plants, people or pets. We want to meet and exceed your expectations so you work with us years in a row and also recommend us to your friends and neighbors. If you do so, we will reward you with referral credits. We are family owned and operated and fully vested in the community. We praise innovation, this is why all our fertilization and weed control services are backed up by science, performed with hi-tech equipment and implemented by licensed and trained experts. We offer personalized services to each and every client. We make things as easy as possible: you don’t have to sign a contract or pay fees hidden in the fine print; you have online paying options or you can pay a yearly fee and forget about everything as we come all year long to offer the services we have been required to do; you have the option to add and request new services to extend your lawn care North Richland Hills TX program; we even offer referral credits and prepay discounts. We became a standard in the industry and our main concern is your satisfaction – this is why we back up all our fertilization and weed control services with a 100% Satisfaction Warranty: if you are not 100% happy with our results, we will redo the job or refund the money for the last application!